Are your customers delaying their purchases? Are they more price sensitive? The research shows that you are probably being impacted by digital disruption without even realising it. Business Owners and Leaders need to combat disruptive changes to grow revenue. They do this by developing a growth strategy to concentrate scarce resources with confidence on the few options that matter. This is called a Growth Plan. It is not a Business Plan. A business will not succeed or fail based on the information provided in a Growth Plan, but a plan will help a business become successful through focused planning and forethought on the only thing that matters for revenue generation – the customer. Your Tactics: turn the plans into a coherent few actions that make the difference in your strategy execution. 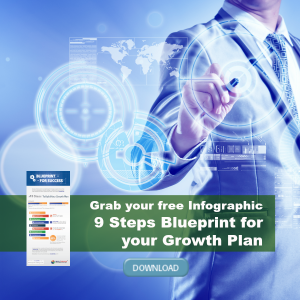 You don’t want to finish your growth plan, ever! (as outlined in this article). You can also assess your strategies with the one test that matters. 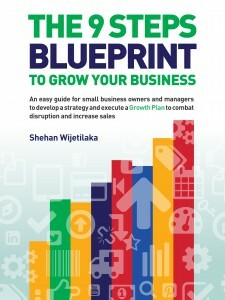 Shehan is an expert in marketing strategy and sales execution. His insights are backed up with over 25 years of demand creation experience in senior sales executive roles, including running a $100 million business line. He also has deep insights in developing new digital business models and is passionate about social media. Shehan has published many research papers and articles. He also speaks regularly at industry forums and conferences on topics such as Business Strategy, Value Creation, Centres of Influence, Demand Creation Strategies and Digital Disruption. Shehan has a B.Sc Honours Degree in Electronics Engineering and Physics from Loughborough University, United Kingdom. He has worked for IBM Corp, Telstra and Huthwaite. Why take control of your sales and strategy alignment? June 14th, 2017 | Comments Off on Why take control of your sales and strategy alignment?